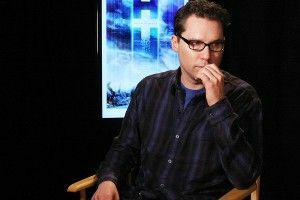 After directing the first two movies in the franchise, Bryan Singer dipped out on X-Men to try to kick-start another superhero lineage. He ended up with Superman Returns, and pretty much nobody liked it, and so Singer never got a chance to make another Man of Steel flick. Eventually, Zack Snyder was brought in for another attempt at a reboot, and the result — a gloomy Christopher Nolan–produced number that’s actually called Man of Steel — is out next summer. Meanwhile, Singer moved on, out of the superhero world and into Cornish folklore. His upcoming movie is called Jack the Giant Slayer, it stars Nicholas Hoult (the once and future Tony from Season 1 of the U.K.’s Skins), and it’s based on the Jack the Giant Killer tales. And then Matthew Vaughn, who directed X-Men: First Class — the series’ latest installment, a prequel that starred young guns Jennifer Lawrence, Michael Fassbender, and James McAvoy — decided he didn’t want to stay on for another round. So now the superhero-movie director roulette wheel spins once more, and, as Deadline reports, Singer is back on X-Men. The new project is called X-Men: Days of Future Past, it’ll bring back Lawrence, Fassbender, and McAvoy, and it has a tentative release date of July, 2014.